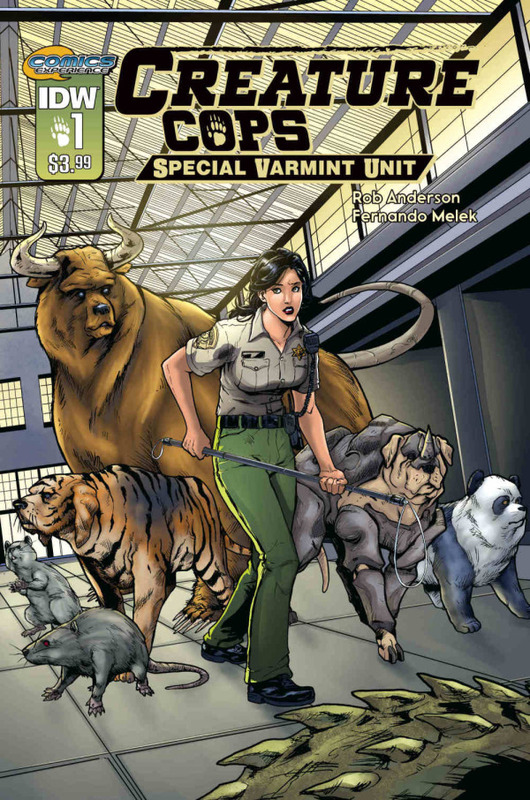 We’re not really certain about how “anthropomorphic” it’s going to be, but Creature Cops: Special Varmint Unit is definitely about fantastic animals! “In a world where a rhino can be gene-spliced with a dog, freakish animals are everywhere, and the Creature Cops have to deal with them! 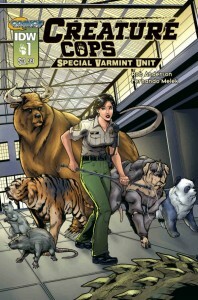 From vicious gator-snakes to cute panda-dogs, these animal cops think they’ve seen it all… until they discover a nest of illegal hybrids that resemble mythological griffins, and suddenly find themselves on the trail of a death cult with even darker plans…” Created by writer Rob Anderson (Rex, Zombie Killer) and artists Fernando Melek (Crossed), Novo Malgapo, and Leandro Panganiban, this new full-color three issue miniseries arrives from IDW (and their new partner, Comics Experience) this January. Flickering Myth has a more detailed preview, and there’s even more at the comic’s official web site.